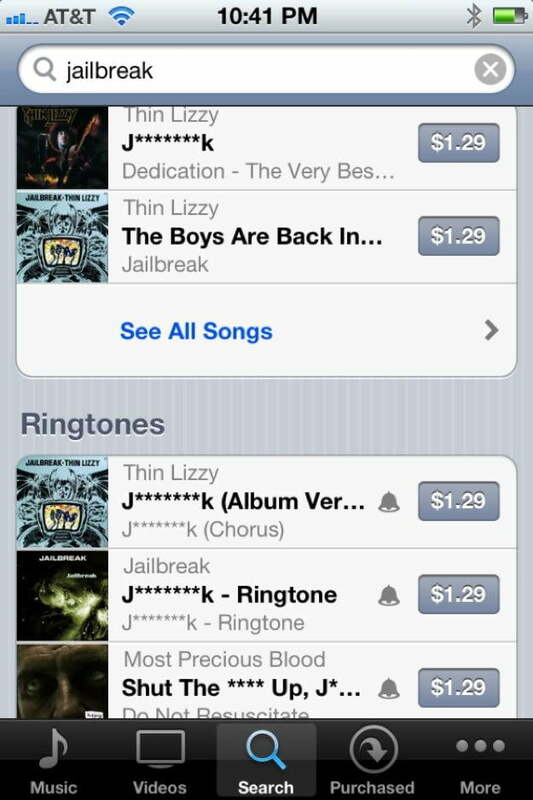 Was Apple really censoring the word ‘jailbreak’ in iTunes? Somewhere, the creators of the Fox TV show Prison Break are glad that they didn’t go with a popular synonym for the first word of their title. 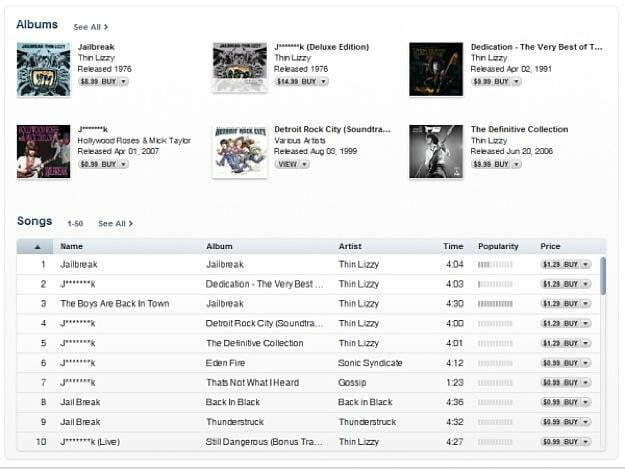 Apple, it turns out, may be experimenting with censoring the word “jailbreak” when it comes to iTunes search results, according to multiple reports. That image also shows something else that’s strange about the censorship: It’s not even vaguely consistent. Look at the top two results, which are both versions of the same song by Thin Lizzy from two different albums; one is censored, and one is not. Shoutpedia suggests that the censorship may have been accident that has been fixed, and that’s definitely a possibility – people who were previously seeing censored results are now seeing uncensored listings – but considering the seemingly random application of the censorship in the first place, it’s possible that it’s also a bug that is simply affecting results with little rhyme or reason. Alternatively, Apple was attempting to actively censor the word to cut down on the number of users looking to hack their devices to install custom software or modifications that Apple, for a multitude of reasons, doesn’t support before backing down in the face of user outcry. But if that were the case, you would have thought that the censorship would have either been blanket or, alternatively, far more selective (Not impacting music or ringtones, but apps, for example), wouldn’t you…? Officially, Apple hasn’t issued any statement on the matter, leaving everything open to speculation and confusion. Only one thing is certain about the entire matter: This may be the most attention that Thin Lizzy’s music has received in quite some time.